Counting down the days till the summer holidays? Join the crowds at DLF Mall of India’s bustling food court, where Emoi draws in kids and adults alike. Get your hands on the brand’s pop-coloured gelato sticks that come in drool-worthy flavours, including Gum Yum (cherry and bubblegum), Peanut Butter Bliss and Strawblush (strawberry and white chocolate). There is no way you can miss the signature offering called Pawffee, a cold coffee flavoured popsicle that comes in the shape of a doggie paw. 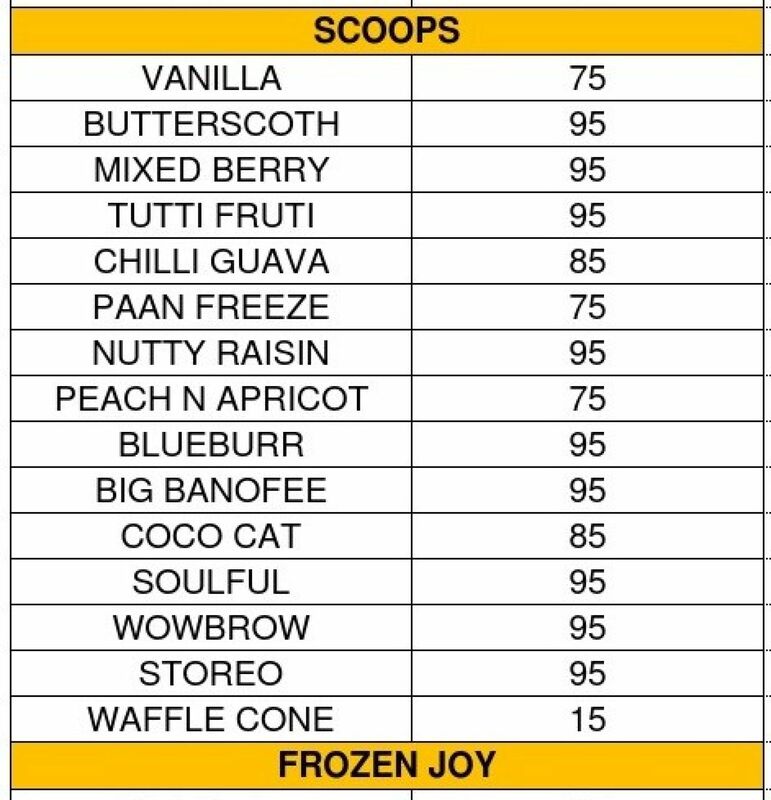 Lick your way through scoops like Guawow (chilli and guava), Coco Cat (coconut), Paanfreeze (paan) and much more. Also, let the desserts in jars whisk you away to cooler days, with several whacky options (read Peachy Paradise and Naughty Brownie, among others). We go often to DLF Mall of India’s food court, and this time when we visited at lunchtime, we found an attractive pink-and-white giant auto rickshaw type food kiosk there. This little ‘food truck’ is Emoi, which sells only ice creams of different kinds. There are kulfis here, popsicles, ice cream scoops (some interesting flavours: guava and chilli, paan, custard apple, strawberry and Oreo, etc), ice cream sandwiches, and gelato jars. When I went up to the counter to see what I wanted, there was such a crowd that I couldn’t see half the menu. (If I could, I would probably have chosen the custard apple ice cream scoop). I could see the gelato jars listed, and so chose one of them: peachy paradise. My husband also chose a gelato jar, naughty brown. Both jars were handed to us with paper napkins and plastic ice cream spoons. Impressions: Peachy paradise: Vanilla ice cream, marbled through with peach pulp and pieces of peach, with a layer of cake crumbs near the bottom. This came frozen solid, so hard that it was difficult to cut into it with the spoon. It took some time for the ice cream to thaw sufficiently to make it easier to eat. Good flavour, though that rock-solid ice cream is not what I associate with ‘gelato’. Naughty brownie: Brownie bits, chocolate ice cream, chocolate sauce, and toasted almonds. Good flavour, but like the peachy paradise, this one was frozen too hard. Also, because of the low temperature, the chocolate sauce had become chewy and not nice at all. We paid Rs 320 for our gelato jars. We didn’t enjoy them much because their contents were so hard. If I eat here again, I’ll probably opt for a scoop or a popsicle instead. The tuk-tuk cart is available right next to the Imly counter. The variety is amazing and so is the taste. Though the prices are a bit higher but every good thing deserves that. Very impressed with the Emoi Cart and the varieties of Ice Creams they have. Specially the Peanut Butter was excellent. I really liked the way they served the Stick Ice Cream with the Lid at bottom to contain all the dripping. What better way to beat the sweltering heat of the city then ice creams? Everybody has their way of cooling down in a heat wave, either with popsicles or with tangy coolers. For us the answer lies at the bottom of an ice cream jar. Ice cream has a way of bringing down the temperature deliciously. We must have visited every ice cream parlor, gelato kiosk or popsicle cart for our dose of creamy cooler. Lately we have been hearing great reviews on peppy-looking ice cream trucks parked in various parts of Delhi NCR and are dying to go it a whirl. Recently we got our chance and let us assure you, it was every bit justified it’s reputation. ‘Emoi’ is a quickly growing chain of cute ice cream trucks, with a mobile outpost parked firmly at DLF Mall of India, Sector 18, Noida. Emoi is all about delicious eye-catching ice creams. 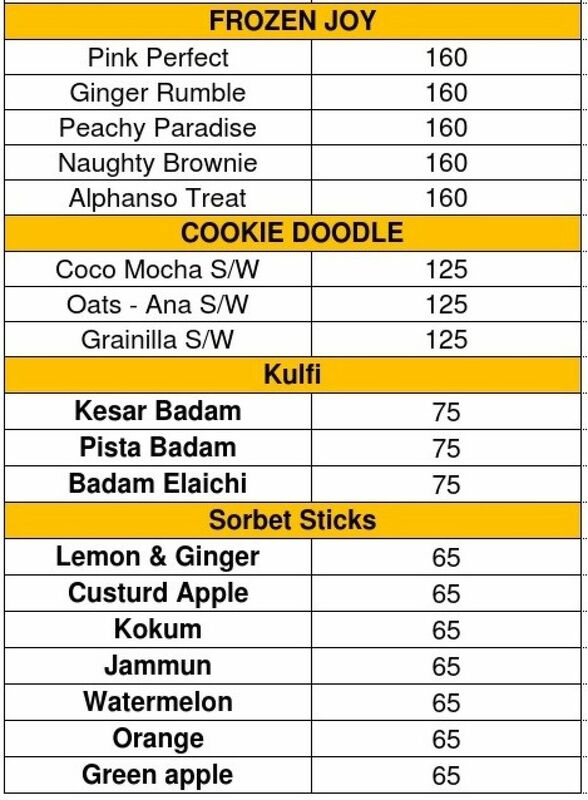 Their forte lies in creating uniquely designed ice cream sticks in comforting and unusual flavours. Next time you see someone licking a paw-shaped stick or a heart-shaped one, understand they are coming straight from Emoi. You too can get your hands on their fun innovative ice cream sticks by dropping in between your shopping spree. Emoi even puts out creamy scoops of ice creams if you prefer served in a cup. 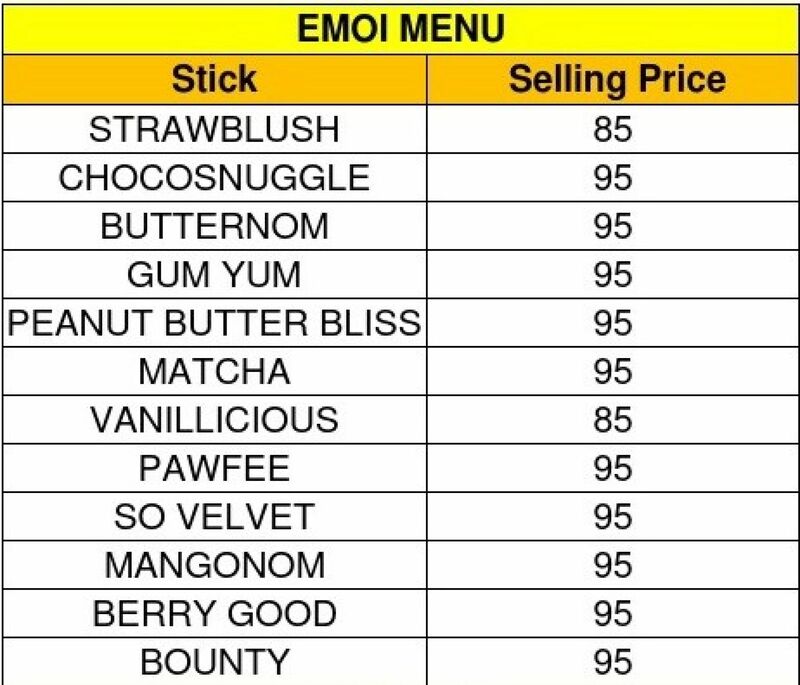 They do pretty interesting options when it comes to their flavours such as, gum yum, wowbrow, matcha, sovelvet, strawblush, peach out, stroreo, butternom, guawow, pawffee, nutty raisin, mangomnom and soulful. You will even find some ice cream sandwiches in the mix to perk up your evening. Emoi attracts kids and adults alike. Their clientele includes people of all age groups. As the truck is parked in a busy lively mall, it gets a lot of attention of the passersby. Post a hefty dinner, an ice cream from Emoi serves as the best finale. The signature Emoi trucks standing on one side of the mall catches your eye instantly. The bright candy colored exterior of the ice cream truck puts a smile on your face as you step closer and admire their fun amusing artwork. Staff is helpful and will guide you through the flavours. Choose what moves you best. Tap into attractive EazyDiner deals or Emoi coupons to make your visit even more advantageous.